Categories: Business, Concise Advice Series, Innovation, Kevin Duncan. Strategy is a plan of action designed to achieve a long-term or overall aim, and there are many areas in business where a decent strategy will be of value. Strategy is not complex, but it can be hard, because of the pain of having to make choices. 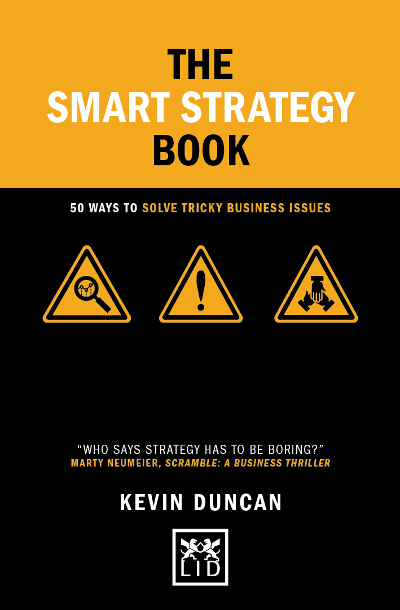 In this practical guide, bestselling author Kevin Duncan offers intelligent and quick solutions to tricky business issues through smart strategic thinking and action. He provides 50 smart ideas to help you arrive at your solution (and present it in a way that everyone can understand!). ● Part of the bestselling Concise Advice series – stylishly presented (with diagrams and illustrations) and easy to understand and apply. ● How to use strategy in a smart and efficient way to solve problems and issue in business. ● Written by the author of the bestselling The Diagrams Book. Kevin Duncan is a business adviser, marketing expert, and author. His books have been translated into over a dozenlanguages. He is the author of the bestselling The Diagrams Book.